These quarter pint regular mouth jars are great for dips, spreads, butters, and kid-sized portions of food. They are basically ramekins that have lids. 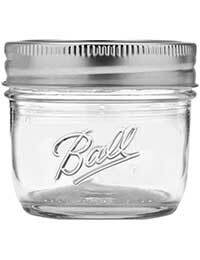 The collection elite 4oz jars are smooth with the Ball logo on one side.